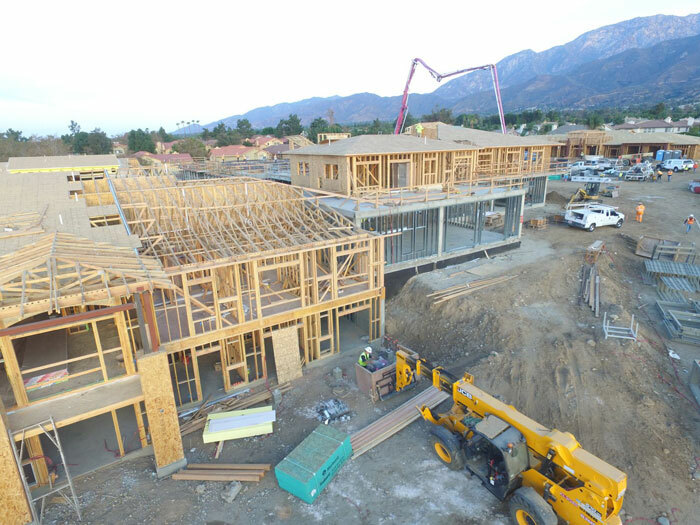 Just over 7 months in to the Merrill Gardens at Rancho Cucamonga project and we are 100% complete with structural concrete! We are currently scheduled to top out with wood framing by the Thanksgiving holiday which will allow us to dry-in the remaining areas of our building before year’s end. Production drywall is scheduled to begin in the south half of the Assisted Living building mid November, triggering our interior unit finishes. We have been accepting window deliveries for the past two weeks and expect to have all windows received and installed by mid December. Dry utility activities are set to begin this week and will continue for the next 6 weeks as we look to get our permanent power, telcom and gas feeds into our project.